Scheduled TurnitinUK maintenance took place on Weds, 27 Dec (4pm) to Thurs 28 Dec (8.25am). The maintenance window was extended from the originally slated 9 hours, to 19 hours due to technical requirements. All Turnitin services were unavailable during this time period. Wednesday 27th of December, 16.00 – 01.00: Planned maintenance window, during which time TurnitinUK and Feedback Studio app for iPad will be unavailable. According to information from Turnitin this maintenance window will include work on their internal hardware in order to improve longterm capability and stability of the service. Saturday 16th of December, 22.37-23.15: TurnitinUK suffered service degradation, which affected the ability to submit work to the system. Friday 1st of December, 10.00 – 11.00: Users reported temporary issues where Turnitin Feedback Studio froze during marking in Internet Explorer. These issues can sometimes be resolved by refreshing your web browser. Although the refresh button is not shown at the top-left or right of the address bar in the Turnitin Feedback Studio window, it is still possible to refresh by pressing the Ctrl and “r” keys together on your computer keyboard (Mac: cmd + r). Please note: Mozilla Firefox is the supported web browser for Turnitin and studentcentral at the University of Brighton. There are some ongoing issues with rubrics in Turnitin and the Turnitin app for iPad which we would like to bring to your attention. These issues have been reported to Turnitin and we are awaiting their resolution. These issues can only be resolved by Turnitin as they require the release of updates to the software and the app for iPad. The problem: the text in longer Learning Outcomes/Criterion (left-hand column) is cut-off and is not scrollable. This issue was initially reported in August and is still being pursued with Turnitin Support. This only affects a small number of modules where the learning outcomes have longer text descriptions in the first column of the rubric. Suggested workaround: keep a paper/electronic copy of the rubric handy, so that you can review the complete text of the learning outcomes if anything is cut off at the bottom of the cell. The problem: rubric selections/entries made in the iPad app, when using qualitative rubrics (the type used at Falmer schools) are not saving. This issue was also initially reported in August and is still being pursued with Turnitin Support. 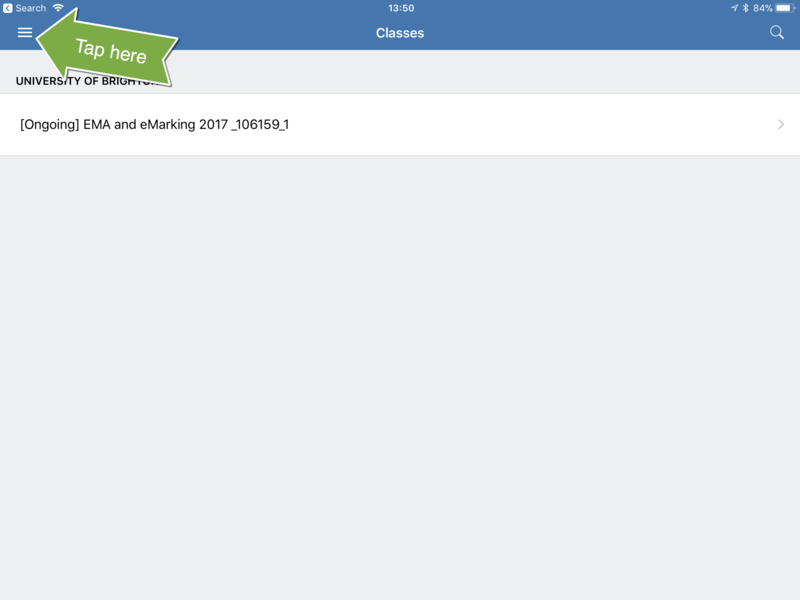 Suggested workaround: you can complete other aspects of marking, such as: reviewing the similarity report; adding QuickMarks and bubble comments and adding voice comments in the app. We suggest that if you prefer to use the app, make a note of what your rubric entries would be for each paper with a way of identifying the paper (e.g. 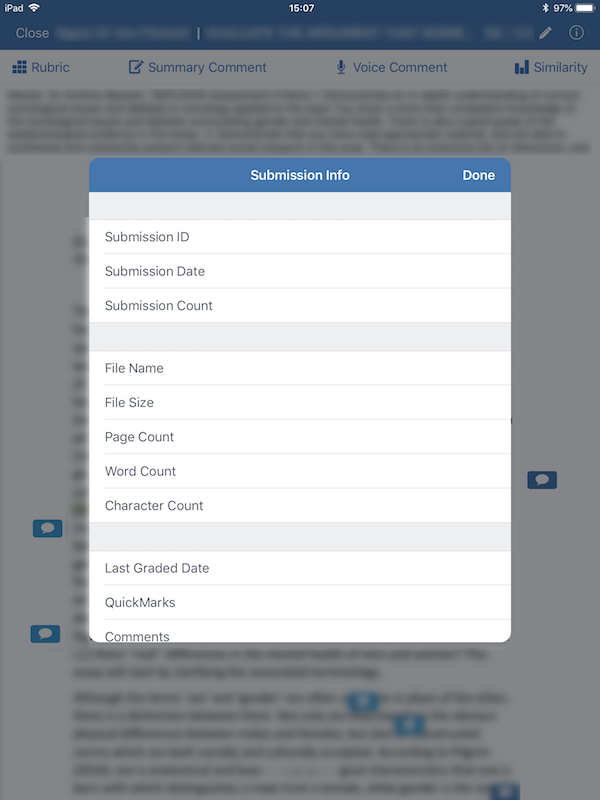 submission ID) and then enter the mark and the rubric selections on the desktop version of Turnitin in Firefox web browser.We appreciate that this is not ideal, but until Turnitin release an update for the app fixing this issue, we are unable to provide a better workflow. Please keep an eye on your app store updates and when an update is released. We advise that you synchronise any marking that you have done prior to updating the app. 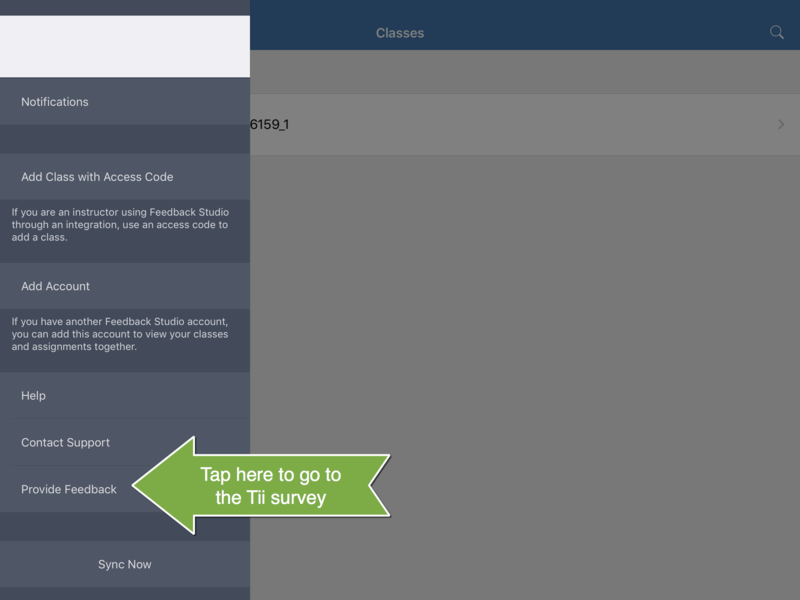 If you wish to provide feedback about Turnitin Feedback Studio app, there is an area to do this from within the app.